Can WhatsApp Become the Next Profit Center for Facebook? Facebook (NASDAQ: FB) has been warning of a revenue slowdown for a while now. Surging average ad prices and the growth of Instagram largely helped stave off that slowdown, but things finally caught up to the company in the second quarter. Shortly after its disappointing Q2 earnings release, Facebook announced its latest plan to monetize WhatsApp, its messaging app with 1.5 billion monthly active users. 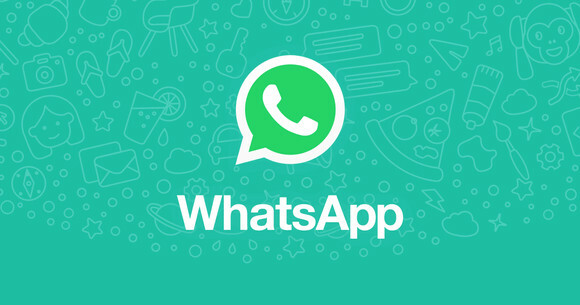 It will charge businesses to send messages to users that reach out for customer service or otherwise establish a connection with the business on WhatsApp. Businesses are given a 24-hour grace period after a customer contacts them, but will face charges for additional contact after that. Basically, Facebook wants to help businesses leverage WhatsApp as a customer relations management tool, and it's going to charge for the service. It launched a suite of new tools at the beginning of the month -- the WhatsApp Business API -- enabling the 3 million WhatsApp Business users to try out the new services. Can WhatsApp create enough revenue and profits to make up for slowing growth in Facebook's core business? Facebook's plans for WhatsApp are very different from what it's done with any of its other products. While the core principle is the same -- connect businesses to consumers -- WhatsApp's Business API is aimed more at customer service than it is about advertising products. In fact, WhatsApp says messages should be "non-promotional." Businesses will need to use Facebook's other channels for promotional messaging. The company even rolled out a new display ad format for Facebook that asks users to contact a business through WhatsApp. Those ad responses will allow the new Business API to reply via WhatsApp and get a conversation started. The core of WhatsApp's monetization efforts appear to be charging businesses for taking their time replying to customer service requests. Or for businesses that want to re-engage customers after an order with things like shipping status or other notifications. The idea of giving businesses a free window to respond is smart. Businesses that do a good job responding to customer service requests or potential order requests will get to improve their business for free. Businesses that take longer get penalized. That creates a good user experience, and it could encourage more people to use WhatsApp instead of other channels for contacting customer service. That said, if the idea is a success, Facebook won't generate very much revenue off the product. WhatsApp will have to attract a lot more businesses to its free app. The 3 million WhatsApp Business users pales in comparison to the 80 million Pages users on Facebook. WhatsApp will also have to convert a high percentage of those users into API users, which is slightly more involved than becoming a Facebook advertiser. While WhatsApp will produce a bit of revenue from its latest initiative, it will take a long time and a lot of effort for it to become a real profit center. Facebook hinted earlier this year that it would include ads in WhatsApp Status, the stories product in WhatsApp. The company already started rolling out ads in Instagram Stories, and WhatsApp Status has even more users than Instagram. The ads could be yet another revenue driver, but WhatsApp users are largely concentrated outside the United States, which is the most lucrative ad market. Businesses may find the new click-to-WhatsApp ads more effective within the same app as compared to Facebook, providing a unique angle for WhatsApp Status ads. The company will slowly roll out ads in WhatsApp Status over time, and even then it's unlikely to be a huge revenue generator. Snap, for example, generated $250 million in ad revenue over the last 12 months on users outside of the U.S. and Canada. WhatsApp has about four times as many WhatsApp Status users outside of North America as Snapchat, so it could quickly become a $1 billion business. But that's not going to move the needle very much at Facebook, which generated nearly $50 billion in the last 12 months. At this point Facebook will take anything it can get out of WhatsApp. It's looking to diversify its revenue streams as much as possible, so that when one business runs into a roadblock it can rely on the others to pick up the slack. WhatsApp will contribute a modest amount of revenue for Facebook with these new products -- at least in the near term. The Business API could be a long-term success, but WhatsApp needs to do a lot of legwork to get businesses using its platform. Ads in WhatsApp Status are still a big question mark, but Facebook does ads as well as anybody. WhatsApp monetization is certainly worth keeping an eye on, but it won't drive profits for a long time.